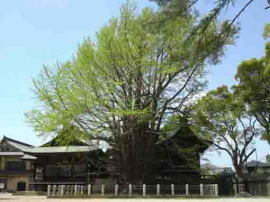 Why don't you visit Nakayama Hokekyoji Temple and areas around it while you go to Kyoto? 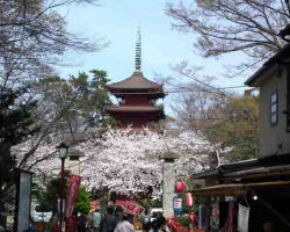 This is one of the nearest spots for you seeing Sakura and historical landmarks on your way to Narita International Airport from Tokyo, so Nakayama Hokekyoji Temple and other landmarks introducing in this web site are very easy for you to visit since they are also in the middle of Narita and Haneda International Airport. These areas are now bed towns of Tokyo, but they have their long history. Especially, Nakayama has its long history since it developed as the gate town of Nakayama Hokekyoji Temple and it has its own long history and many important historical properties like temples in Kyoto and Kamakura. 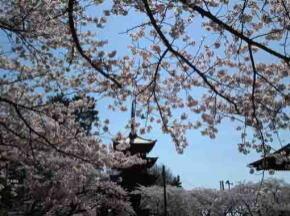 And the temple is a popular spot for seeing sakura. Ichikawashi has some nature observation parks in it, visitors could enjoy seeing many wild birds and waterfowls in these parks. 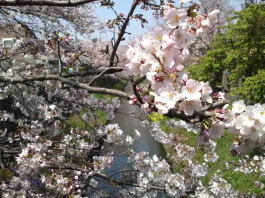 Of course, they are very popular spots for seeing sakura in spring. 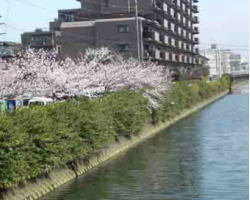 This web site will introduce Nakayama and areas around it, Yawata, Mama, Gyotoku in Ichikawa-shi, Funabashi-shi, Urayasu-shi, Edogawaku and other cities in Katsushika Shimousa. 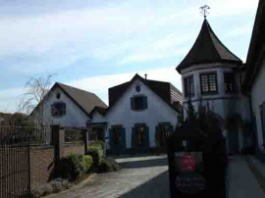 Please enjoy visiting this site and come to Nakayama and Shimousa. If you have a little spare time, please visit these noted spots introduced in this web site. 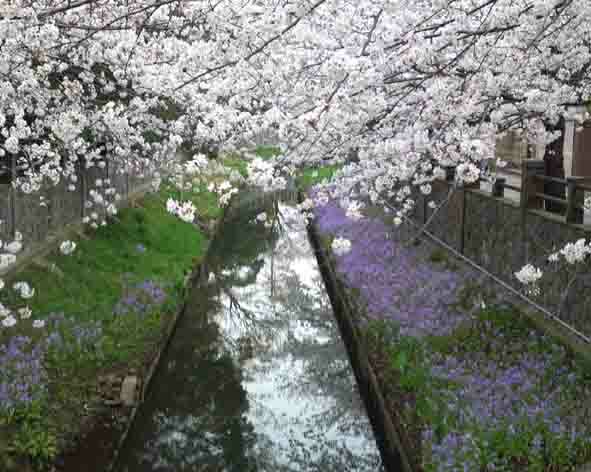 Let's Go On A Walking Nakayama, Shimousa is the area guide of Ichikawa city and regions nearby. Especially Nakayama is on your way to Tokyo from Narita International Airport, it has the great accessibility from Tokyo. This page shows the address and the transportations to the sights introduced in this site, 'Let's Go On A Walk In Nakayama Shimousa' . Please come and see them! Nakayama in Shimousa is on your way to Tokyo from Narita International Airport, was developed as the temple town of Nakayama Hokekyoji temple, one of five headquarters of Nichiren Sect in Buddhism and some historical architectures; Yonsoku-mon Gate built in Kamakura, Hokke-do Hll in Muromachi and Five Story Pagoda, Nio-mon Gate, Kuro-mon Gate and Nakayama Daibutsu in Edo period are in the site of Nakayama Hokekyo-ji Temple. It is very wonderful area to visit. You could find some historical properties in this small area around Nakayama in Shimousa. Why don't you visit Nakayama? There are many beautiful temples, shrines and places that they are as old as they are in Kyoto and Kamakura, so Nakayama and areas nearby have over 1000 years history. Many heroes and artists in Japanese history, Masakado Taira, Yoritomo Minamoto, Gyoki, Nichiren, Dokan Ota, Musashi Miyamoto, Issa Kobayashi, Mitsukuni Mito, Kafu Nagai and so on visited in area around Nakayama. 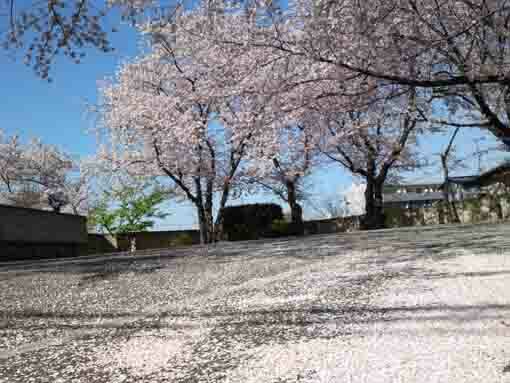 And Nakayama is in Ichikawa city next to Tokyo, but it remains a lot of natures. You can call on Nakayama and Ichikawa on the way back to your country, so you could feel and touch common Japanese Culture while you are visiting them on your way to Narita International Airport. Nakayama is the best place for foreigners on their business trip to Japan since it is a very close area to the center of Tokyo and NRT, so they could enjoy sightseeings at Nakayama and Ichikawa in their short trips. Nakayama has the old temple, Nakayama Hokekyoji Temple (no admission fees) with several national cultural properties, and Nikke Colton Plaza a shopping mall with Uniqlo, Muji and many other shops. Moreover there are two Daisos near the Shimousa Nakayama Station. Moreover area around Nakayama, there are some drugstores, supermarkets, electric appliance retailers and specialsts shops, the number of shops so many, and they compete everyday amoung them, therefore they gives cheaper prices than any stores out of Nakayama. In addition, there are many cafes, bars and restaurants running over 20 years or more around the Simousa Nakayama Station, thus they give very delicious dishes to their customers. 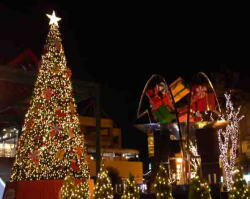 The visitors at Nakayama could enjoy sightseeing and shopping in very short time. 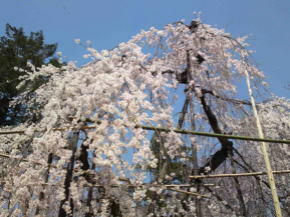 Please call on Nakayama on your way to Narita, you could find wonderful experience! Finally, all pictures on this website are taken by my cell-phone. You could see much more beautiful views with your naked eyes. 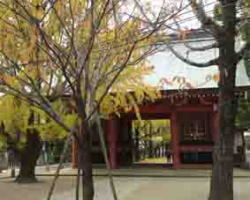 Ichikawa has many cultural and historical scenic spots in it.